During today’s Nest event, Tony and the boys announced that a new Nest 5.0 app would arrive on both Android and iOS. If you are at all a Nest fiend like me, then you have been checking constantly since the event wrapped for an update to the app. As it turns out, all of that checking for an update was a waste of time, because you actually have to install a brand new Nest app. Let me say that again – the old Nest app can be uninstalled and you will need to install the new Nest app. I know, this isn’t typically how big updates go, but that’s what we’re working with here. The new Nest app is now just called “Nest” instead of “Nest app” like the original. The new icon for it also has a bit more gradient and shadow, for those paying attention. 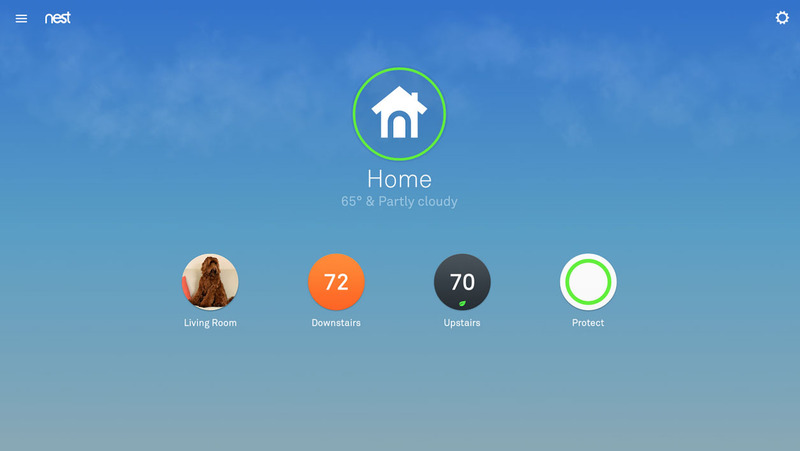 As a recap, the new Nest 5.0 app is a big deal. Not only does it feature a brand new UI and support for the Thermostats and Protects, but it brings in your Dropcams as well (the new Nest Cam too). So now, all of your Nest products live under a single app. Again, this is a brand new app that requires a full install. The old Nest app, well, feel free to get rid of it.